Jilbab Generic term for women’s outer garment (shawl, cloak, wrap) in Arabian sedentary communities before and after the rise of Islam. The Qur’an (333:59) instructs Muslim women to cloak themselves as a mark of status and as a defensive measure against sexual harassment in public places. The textual definition as enunciated by the law giver is of jilbab as an outer garment. The garment mentioned must be an outer garment as the verse could not possibly be saying they should discard their normal everyday clothing. That is why companions of Muhammad, such as Ibn ‘Abbas and Ibn Mas’ud, both understood the garment to refer to the jilbab, since that is the outer garment that is worn by women. Both of whom are considered experts in Quran exegesis. Authority for it as an outer garment is also to be found in the Sunnah. The above report of Umm ‘Atiyyah is clear in its indication that the jilbab is an outer garment. This is because the Prophet stipulated that before going out she needs to wear a jilbab and if she does not have one she must ‘…borrow the jilbab of her companion”. The fact that she was not allowed to go outside without it indicates its function as an outer garment. Also Abu Dawud records a report on the authority of Umm Salama (a wife of the Prophet) which indicates that jilbab is an outer garment. It is reported that she asked the Prophet: “Can a woman pray in a long dress and a headscarf without wearing an izar (a type of jilbab)?” He (pbuh) replied, “If the long dress is ample and covers the surface of her feet.” (Abu Dawud) The fact that Umma Salmah asked if she can wear a long dress and headscarf without the izar (jilbab), this indicates that the izar (jilbab) is normally worn on top of the regular clothes. An-Nawawi (d.676), a commentator of Al-Shirazi’s Muhazzab explained the latter’s comments and attributed it to Shafi’i (the founder of the Shafi’i school of thought): ‘This ruling has been stated by ash-Shafi’i and the scholars of the school are agreed on this.’ Then he quotes the view that the jilbab: ‘is a sheet worn over the clothes i.e. that it is an outer garment)’ saying: ‘This view is correct and it is the view of ash-Shafi’i (i.e. that the jilbab is worn over the ones clothes). Ibn Hazm stated in his al-Muhalla: ‘In the Arabic language of the Prophet, jilbab is the outer garment which covers the entire body. A piece of cloth which is too small to cover the entire body could not be called jilbab. Thus, the fact that the jilbab is an outer garment is established by the Qur’an and Sunnah and it is the same meaning understood by the companions of Muhammad (pbuh) and attested by the scholars. iv. Should not resemble the clothing of men. These conditions are well known and accepted and there is no need to dwell on them, for further discussion of their evidences one can consult the relevant books of Islamic jurisprudence. This entry was posted in Uncategorized and tagged abaya, caftan, clothes, galabeya, jilbab. Bookmark the permalink. 61 Responses to What is a Jilbab? I’ll immediately grab your rss as I can’t in finding your email subscription link or newsletter service. Do you’ve any? Please allow me understand so that I could subscribe. Thanks. 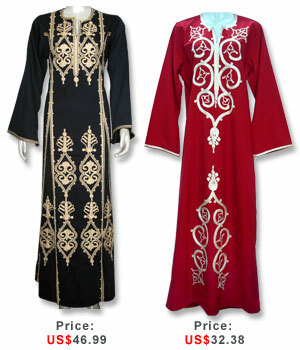 You may see our collection of a stylish, modest, high quality jilbabs and other islamic clothes. IЎ¦ve read a few good stuff here. Definitely value bookmarking for revisiting. I wonder how so much attempt you put to make the sort of great informative website. I just want to say I’m new to blogging and site-building and absolutely enjoyed you’re page. Probably I’m going to bookmark your blog . You certainly come with superb writings. Many thanks for sharing with us your blog. This is the exact What is a Jilbab? | Jilbab Mall Blogs diary for anyone who wants to assay out out some this issue. You observation so much its nigh wearying to present with you (not that I real would want…HaHa). You definitely put a new reel on a content thats been scrawled nearly for geezerhood. Fastidious poppycock, only great! This is the penalize What is a Jilbab? | Jilbab Mall Blogs diary for anyone who wants to move out out around this topic. You observance so such its nearly effortful to represent with you (not that I real would want…HaHa). You definitely put a new spin on a matter thats been written roughly for life. Metropolis object, but large! I simply want to mention I’m all new to blogs and absolutely loved this blog. Most likely I’m likely to bookmark your site . You definitely come with remarkable writings. Thanks a bunch for sharing your web page. I just want to tell you that I am beginner to blogging and site-building and seriously liked your blog site. Almost certainly I’m likely to bookmark your blog post . You actually have fabulous writings. Cheers for revealing your website. I just want to thank the author of this article pretty much because that’s exactly the informations I was looking for. Great post at What is a Jilbab? | Jilbab Mall Blogs. I was checking continuously this blog and I am impressed! Extremely useful info particularly the last part I care for such info much. I was looking for this certain information for a very long time. Thank you and good luck. I just want to say I am just new to blogging and site-building and truly liked you’re web blog. Almost certainly I’m want to bookmark your website . You certainly come with incredible article content. Thanks a lot for sharing with us your web-site. Hey there this is kind of off comments but I was wondering if blogs use WYSIWYG editors or if you have to manually code with HTML. I’m starting a blog soon but have no coding know-how so I wanted to get advice from someone with experience. Any help would be enormously appreciated! I simply want to tell you that I am just beginner to weblog and honestly savored you’re web page. More than likely I’m likely to bookmark your blog . You really come with beneficial posts. Bless you for sharing with us your blog. I simply want to say I am all new to blogging and site-building and certainly enjoyed this blog site. Probably I’m going to bookmark your website . You absolutely have tremendous article content. Bless you for sharing your webpage. This is the penalize What is a Jilbab? | Jilbab Mall Blogs diary for anyone who wants to assay out out nigh this theme. You react so much its most effortful to debate with you (not that I real would want…HaHa). You definitely put a new extend on a issue thats been cursive roughly for age. City foul, just large! This is the rectify What is a Jilbab? | Jilbab Mall Blogs diary for anyone who wants to assay out out active this topic. You mark so some its almost effortful to converse with you (not that I truly would want…HaHa). You definitely put a new protract on a content thats been holographic nigh for age. Prissy lug, simply major! Into my get the job done return to frequently your internet web-site regarding details on individual. Not a thing there, the new reports, virtually no rumours, it is clear! exclusively seems to be awesome however the content articles are extremely very good! The primary details portals would not have this kind of superb authors as you! Have you investigated doing work in could have just about any publishers? I’m sure that whenever you will enjoy a whole lot more lovers. Thanks a lot for providing individuals with an exceptionally splendid possiblity to read critical reviews from here. It’s always very useful and full of a great time for me and my office acquaintances to visit the blog at minimum three times a week to study the newest guides you have. Of course, we are certainly happy with all the very good things you serve. Some 3 points in this posting are without a doubt the finest I’ve had. Howdy, I personally immediately am getting at i did not found a considerably long time for that reason well-written article content. Next, the places you identify these records? Figure out! Many thanks! fantastic submit, very informative. I ponder why the opposite experts of this sector do not realize this. You must continue your writing. I’m confident, you’ve a great readers’ base already! thanks for your comment, you can see our website throw any mobile, and we now working to create version for mobile. Some truly nice and utilitarian info on this web site , besides I think the design and style has superb features. I didnt seek this, but I enjoyed this, found it helpful! Keep up the great work! Thankfulness to my father who informed me about this web site, this web site is genuinely remarkable. Nice post at What is a Jilbab? | Jilbab Mall Blogs. I was checking constantly this blog and I am impressed! Extremely helpful info specifically the last part I care for such information much. I was looking for this particular info for a long time. Thank you and good luck. I simply had to say thanks once more. I am not sure what I could possibly have used without these ideas shown by you relating to such area. It truly was an absolute frightening matter in my circumstances, but taking a look at your specialized avenue you processed the issue made me to weep with fulfillment. I am thankful for the work and have high hopes you comprehend what a great job that you are undertaking training the others via a site. I am certain you’ve never met any of us. Great post at What is a Jilbab? | Jilbab Mall Blogs. I was checking continuously this blog and I’m impressed! Very useful information specially the last part I care for such info much. I was looking for this particular info for a very long time. Thank you and good luck.